A senior marketer at a well-known consumer startup recently told me that their performance marketing team just don't believe brand metrics impact performance marketing. (They worked on brand marketing, so this was a source of serious frustration when looking for wider business buy-in about the importance of brand building). The question is: are they right? Are performance marketing and brand marketing two completely siloed activities that have no impact on one another? There’s a lot of evidence emerging that this isn’t the case, and that anyone serious about improving the results of their digital and performance marketing in 2018 needs to get serious about brand. “If you see such a huge difference between your branded and non-branded keywords, it means you need to focus on building brand affinity even more. Go after users before they ever search for your stuff! As you can see, direct website visits is the #1 most important factor, outweighing even backlinks and referring domains. This means that if you can drive branded search terms by smart brand building, you can start to outcompete competitors with a much larger traffic footprint than you. This chimes with the research of two well respected SEO experts Malcolm Slade of Epiphany and Tom Capper of Distilled, who independently presented the results of their research at BrightonSEO earlier this year. Their main conclusion was the same - stronger brands perform better in organic search, even when they are less good at ‘traditional’ SEO tactics such as link building. There are no definitive studies for these particular areas of performance marketing, but there is a simple way you can test the effects of brand awareness on click through rate (CTR) and conversion rates for yourself. In Facebook, set up a ‘conversion’ goal campaign, then split out two audiences under ‘Ad sets’, with one focused on a customer audience, defined as anyone who’s engaged with a video (i.e. viewed it) for your brand within a set time period (more details on setting this up here), and the other focused on those who’ve never interacted with your brand before (a saved audience, excluding anyone who’s visited your website, existing customers, and the engaged audience you’re targeting in the first ad set). Now see how your ads perform, and which gives you the best CTR, and ultimately which group converts best on your site (tracking this using the Facebook pixel, or Google Analytics). You can use a similar methodology with other social and display networks, splitting the same creates or campaigns across audiences who have been exposed to your brand, and those who haven’t. Of course, social media can also act as an initial form of brand awareness, with the impact then felt in other channels, which may not give due credit to the work you’ve done on social. Do people familiar with your brand convert at a higher rate than those who are new to you? 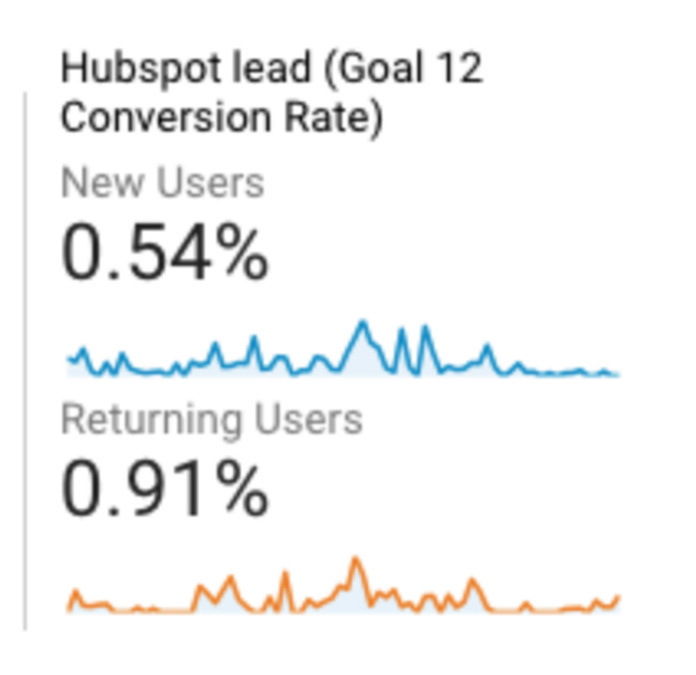 Common sense and data are at one here, with the results from our own Google Analytics dashboard illustrating the difference nicely. That’s a nearly 70% differential. Once you’re speaking to an audience that know who you are, there is a marked improvement in conversion rates. So don’t worry if people don’t convert first time - count that interaction as an introduction to your brand and the promise of what you can do for your customers; assuming you provide a good experience and first impression, they’ll be back, and this is where the action happens. Brian Balfour, former VP of Growth at Hubspot and now founder of Reforge, recently wrote a great post on the importance of retention for success. And while his experience is in B2B, the principle applies equally to consumer brands. Of course, why these companies ultimately fell from grace is more nuanced than retention only, and the reasons for their poor retention cannot be solely pinned on a lack of focus on brand. But they clearly missed some tell-tale signs that things weren’t right. One of the leading indicators of your brand’s strength amongst existing customers is Net Promoter Score (NPS). You might argue that revenue or repeat purchases trump a less bottom-line focused metric like NPS, but they’re both lagging indicators, while NPS is a much better leading indicator. Revenue and repeat purchases can tell you that you have been doing a great job, but they might actually mask whether or not there’s something rotten in the kitchen. Keeping a close on eye on your NPS will help give you a more forward looking idea of how happy customers are with you, and whether your brand experience is likely to lead to positive word-of-mouth, referrals and viral network effects that characterise many of the strongest companies. 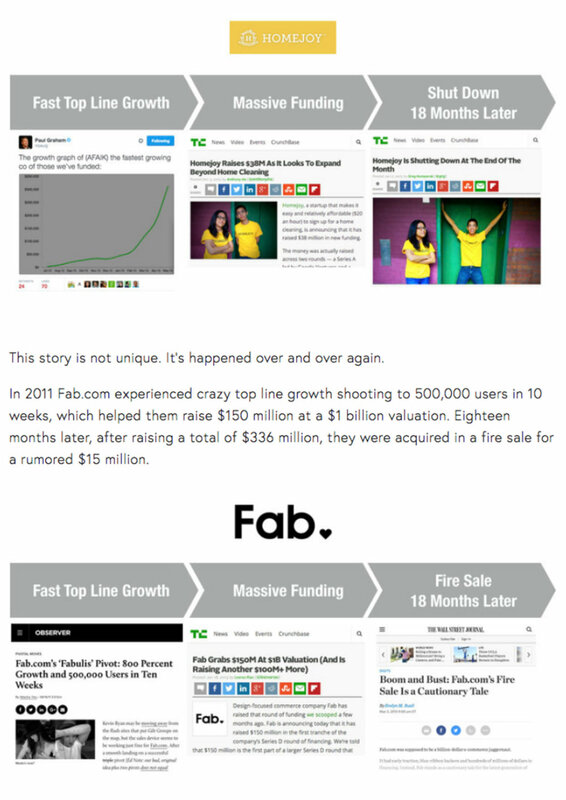 This is how sustained success stories like Zappos, Warby Parker and Apple maintain their market share and brand dominance. If you work in digital or performance marketing, you might think of brand building as the remit of another team who look at fluffy metrics that are less measurable than the trackable, metrics-driven world you inhabit. Brand building is the responsibility of everyone, and will directly impact your performance and results. That’s not conjecture, it’s backed up by myriad data points, case studies and respected experts as detailed above. If you’d like to apply the same kind of rigour to tracking your brand as you do to your digital and performance marketing, we’re here to help. It just might be the competitive advantage you need to get ahead, and stay ahead in 2018.